The UDA has announced that units of its military wing, the Ulster Freedom Fighters, are to be stood down at midnight. The organisation also said weapons are to be put beyond use. 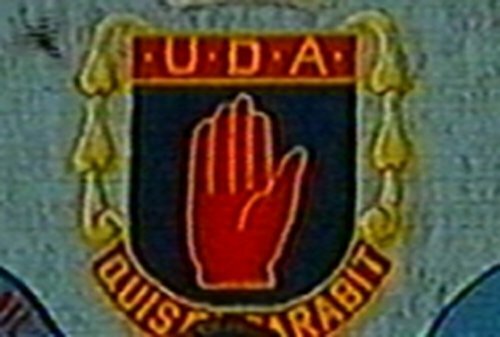 It was unclear how and when the UDA intends to engage with the decommissioning body chaired by General John De Chastelain. At a Remembrance Day ceremony in Belfast’s loyalist Sandy Row, the UDA said it believed the war was over and said it is going to concentrate on developing communities through peaceful means. It said it was making the momentous move because the struggle to maintain the Union was on a new and more complex battlefield. The UDA sent out a general order to all members not to be involved in crime or criminality, and it said those who had joined its ranks for such purposes had to be rooted out. DUP's Lagan Valley MP Jeffrey Donaldson described it as a positive signal for communities across Northern Ireland. More than 12 years has passed from the IRA's 1994 ceasefire to Sinn Féin pledging to support the PSNI last January. The process by Loyalist paramilitaries to end their campaign has been even more protracted. Some of its leaders want to commit to an exclusively political path. Others continue to engage in crime, including drug dealing and racketeering.